Helps to deliver authentic Italian dishes. Consistent taste and quality in every time. Time and cost saving in preparing the tomato concasse. 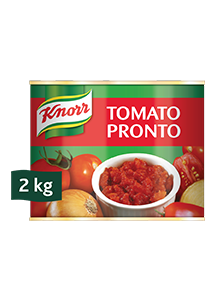 • Ready to use chunky tomato concasse. • Can to plate solution. • Authentic Italian tomato flavor.